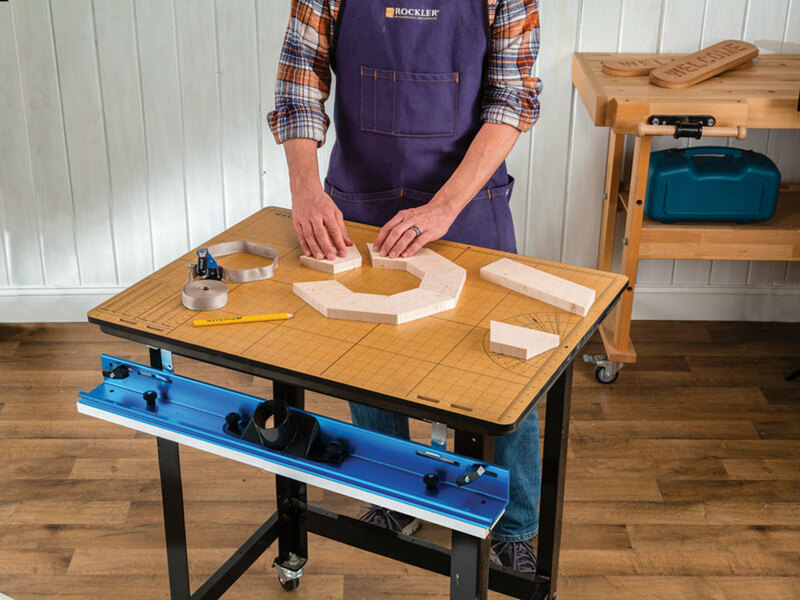 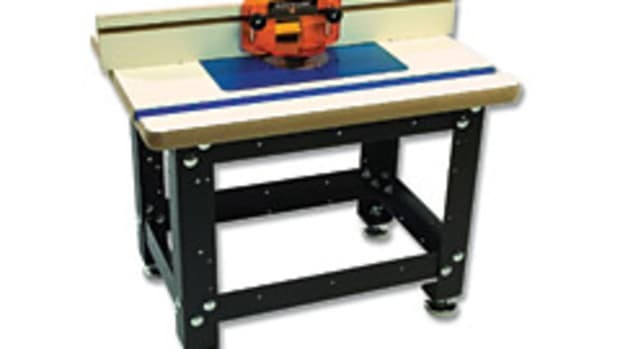 The Rockler Router Table Worktop is sized to fit Rockler’s 24" x 32" router table tops, providing more than 5 sq. 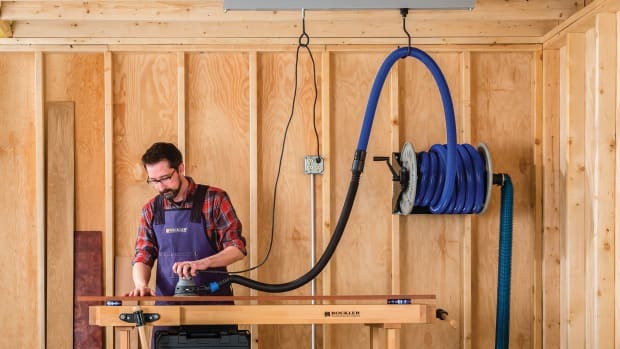 ft. of work surface while also protecting the router table. 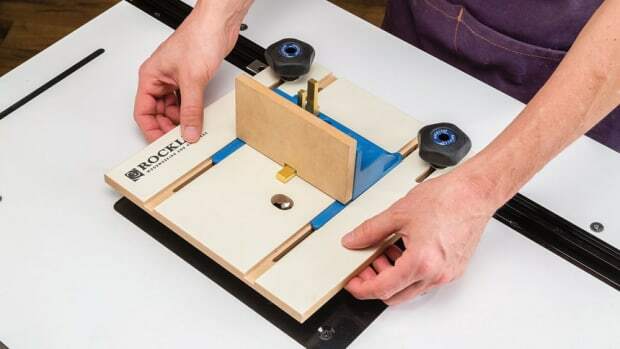 It’s made of 1/2" thick MDF and features printed rulers, an inch grid, a protractor and a fraction/decimal/millimeter conversion table, according to the company. 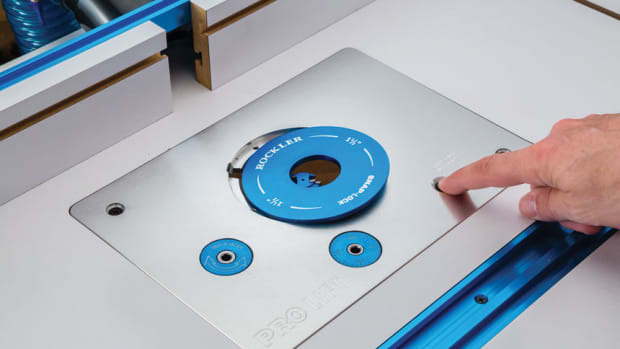 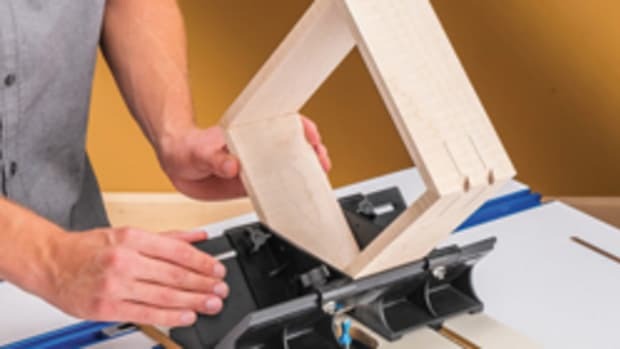 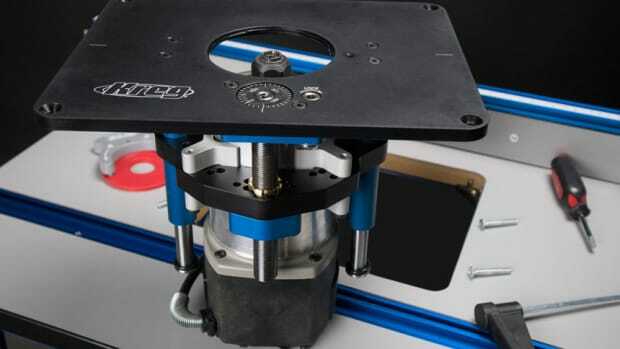 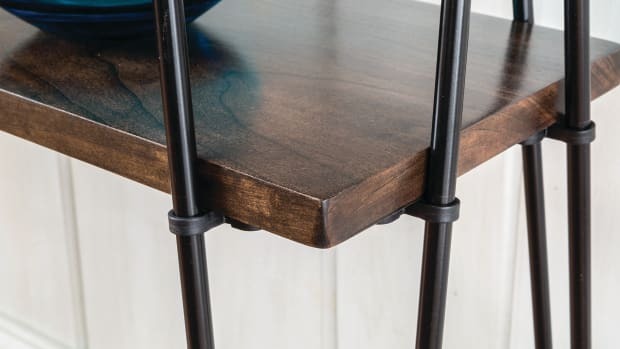 When it’s not in use, the worktop hangs conveniently on two included brackets that can be mounted to the underside of the router table, to a router stand or cabinet or to the wall. 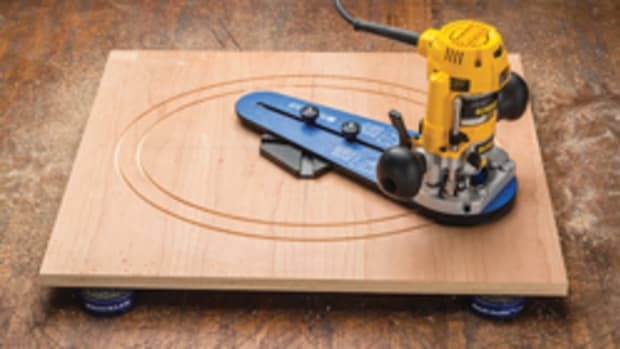 Slots on the worktop are spaced to match the slots on Rockler router table fences. 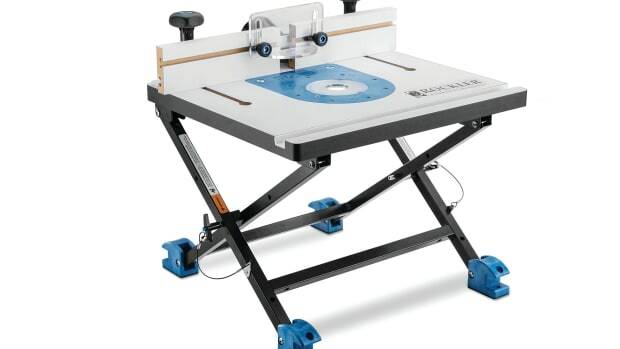 The Rockler Router Table Worktop sells for $69.99.